ENERNOC x 1AM Corporate Team Building Workshop! 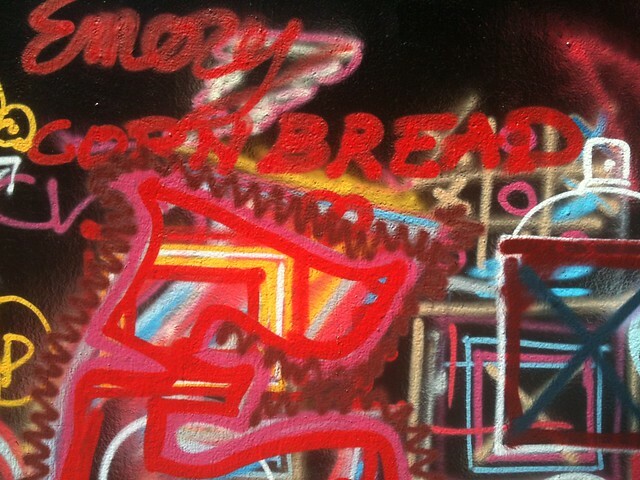 They came, they saw, they spray painted. 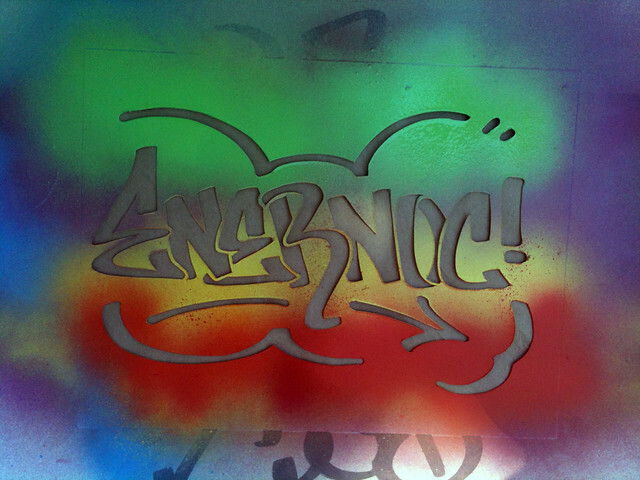 We at 1AM had the immense pleasure of hosting an exciting graffiti workshop for ENERNOC yesterday morning. 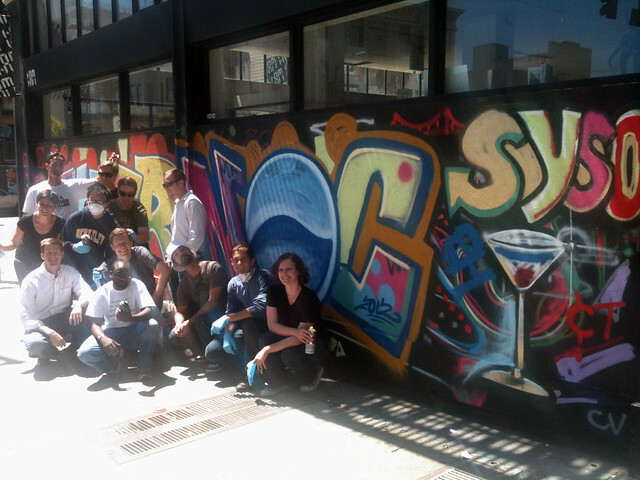 The ENERNOC crew blew us away with their creative T-shirt stenciling skills. 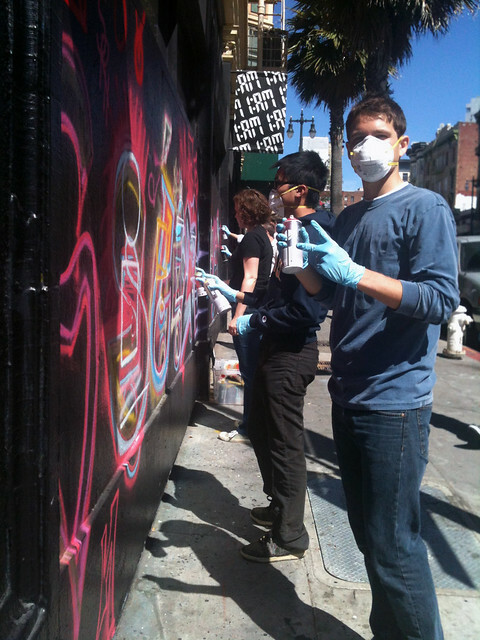 They quickly picked up on spray painting techniques, all under none other than our resident graff teacher Nate1, then they created a mural with vivid, electric colors that were out of this world! Great job ENERNOC. We had a blast and we hope you did too! Please come back any time! Want to see your name up on our wall? Interested in having an awesome workshop for your company, co-workers or group of friends? E-mail classes@1amsf.com for more information. « NEW PRINTS: Jurne drops off Limited Edition Prints at 1AM!